This was going to be the year. The 2005-06 Sabres came out of nowhere, capturing hearts and making a valiant run to Game 7 of the Eastern Conference Final, despite the wheels falling off in just about every sense along the way. They were so close, but they were young, and with the exception of a few roster moves, they were back. The Sabres started the 2006-07 season with a record of 10-0-0, a league record. They were destroying teams. Coming back and winning games they had no business winning. They embarrassed the Flyers to the point where they fired their coach. The team was good. Real good. They went wire-to-wire with the NHL's best record, from opening night to the final day, winning the first Presidents' Trophy in franchise history. This was the year. Forget the Bills, man, the Sabres are finally going to lead us to glory! They brushed off the Islanders in the first round. Then the Rangers gave them a tough time, but the Sabres got past them in six. Now, it was Ottawa. A rematch of last year. And before you knew it, Ottawa was up 3 games to none. The series was over in five. And the team's best players were set to become unrestricted free agents. Buffalo has a long history of scrappy teams that overachieve. That team was insanely talented and didn't get it done. 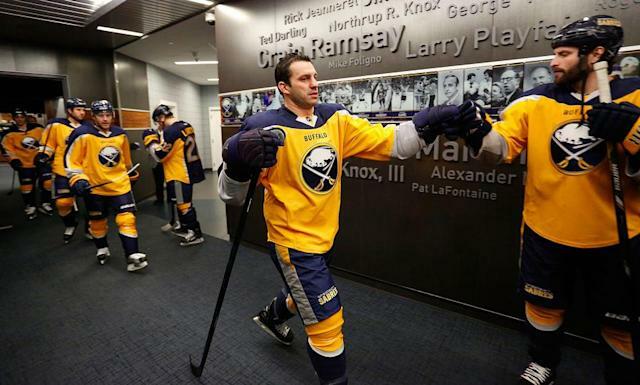 When the Sabres finally traded captain Michael Peca after a year-long holdout in the summer of 2001, hopes were high because of the haul that GM Darcy Regier got in return: former top-10 picks Tim Connolly and Taylor Pyatt. Connolly was an immense talent. His problem was between the ears. Not so much character-wise, mostly because of a rough hit he took in a preseason game against Chicago in 2003, which cost him an entire season. With a year lost to injury and another lost to the Great Lockout of 2004-05, he returned in 2005 and promptly had a fantastic year, registering 55 points in 63 games. In the playoffs, he was even better. Tim was becoming a star. Then Ottawa's Peter Schaefer leveled him in the 2006 playoffs. And he was out for another season, returning for the final two games in 2006-07. He spent the following years as a pariah, becoming a scapegoat for the team's failures, thanks to his newfound tentative style and despite his obvious talent and fairly consistent production. In the 2011 playoffs, he got drilled from behind by mass murderer Mike Richards of Philadelphia in a tied Game 6, knocking him out for the series. His absence was the beginning of the end, as Buffalo's special teams struggled and they lost in 7. He left as an unrestricted free agent after a decade with the team. Asking about the "Most Disappointing Moment" to a Buffalo sports fan is akin to asking someone what the worst thing about Winnipeg is. Where do you even start? There's so many ways to answer the question. It'd be easy to say Brett Hull's foot-in-the-crease/shouldn't-have-counted/NHL-coverup Stanley Cup winner in 1999. It'd be alright to say everything that happened after Brian Campbell put the puck over the glass in Game 7 against Carolina. But I'm gonna go with another Game 7 nut-punch: Darius Kasparaitis' overtime winner in Game 7 of the 2001 Eastern Conference semifinals. That may have been the Sabres' best chance to win a Stanley Cup with Dominik Hasek. While he was showing signs of age, he was still a Vezina trophy winner. The team was stacked with veteran talent left from the 1999 Finals team, picked up Doug Gilmour, Chris Gratton and Dave Andreychuk before the season, and loaded up at the deadline. And on a weak wrist shot from the circle, with the game on the line, Hasek, the greatest talent to ever wear the uniform, got beat, glove side. Doug Gilmour, the gritty veteran? He was coasting behind him. The Sabres were a combined 5-0 against the teams they would've faced in the conference finals (New Jersey) and Stanley Cup (Colorado) that season. Hasek skated right off the ice, in what was his last game as a Sabre. The team wouldn't make the playoffs again for five years. July 1, 2007. A date that will live in infamy. The transaction wasn't so much an action by the team, but an inaction by the team. 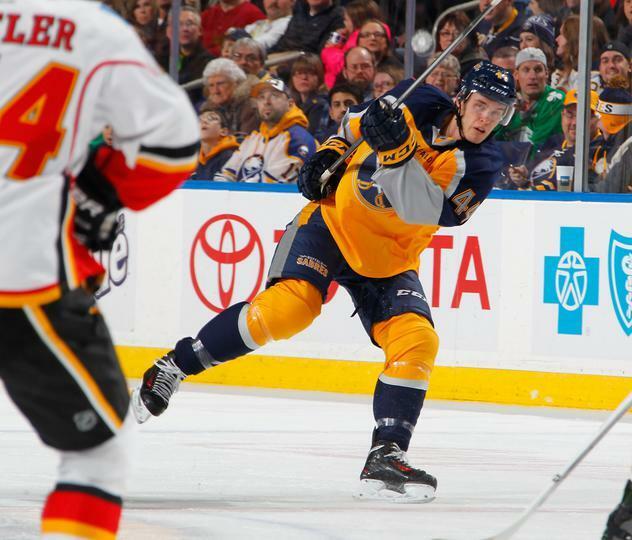 After a Presidents' Trophy season, back-to-back conference final appearances and a heck of a lot of wins, the Sabres were unable (unwilling?) to re-sign their co-captains. They walked, signed huge deals with then-Atlantic Division teams and the Sabres and fans were left to pick up the pieces. It was a cultural failure. The team had a public policy of not negotiating contract extensions during theseason. Despite that, rumors persisted that each player had verbally agreed to matching five year extensions the previous fall. Things were never signed, the season played out, and Sabres management decided that they'd rather just sign Drury instead of Briere. Drury decided to bail for his boyhood favorite team, Briere was a jilted ex who wouldn't reconcile, and the Sabres were left with nothing. Much of the blame has been directed at then-GM Darcy Regier for mishandling the situation. At the press conference after the debacle, then-President Larry Quinn went all Kevin Bacon in Animal House "All is well!" and an annoyed Regier pointed out that the team would be "less competitive," inferring that maybe the GM was pissed that extensions didn't get done. It was a massive mistake that set the franchise back, something they really haven't recovered from, even now. Scotty Bowman is widely known as one of the greatest coaches the game has ever seen. He's won Stanley Cups just about everywhere he's been in the last four decades. Since his first Cup win with Montreal in 1973, he's won at every stop... except in Buffalo. After stepping down from his post with Montreal after their fourth consecutive Cup in 1979, he joined the Sabres as coach and general manager that fall. Buffalo had been exciting and competitive through much of their first decade in the league, and just needed to get that nudge over the top. Led by the famed French Connection, they needed that last piece. He came in and promptly broke up the French Connection, trading Rene Robert to Colorado. The Sabres won the Wales Conference that season, but lost to the eventual champion New York Islanders in the semifinals. That would be as close as they got. The players from Buffalo's 70's-heyday got older, and the team got worse. Players were dealt away. Rick Martin, Danny Gare, Jim Schoenfeld... traded away. He used a first round pick on Czechoslovakian phenom Jiri Dudacek, who was never released by the Czech government to play here. The team got progressively worse, and by fall 1986, Bowman was gone as the team languished in the basement. Bowman returned to coaching with the Penguins in 1991. He won the Stanley Cup that year. The miraculous thing about this uniform is that it exists. Things like this don't fall through the cracks and on to the bodies of a professional sports team. Someone, who is paid professionally to do so, designed this. And thought it looked good. Then, they showed this to their boss, who also thought it was a good idea. This thing doesn't get rubber stamped. People looked at designs. People picked this over other ideas. Somehow, here we are, going into our second season with this as something worn in the greatest hockey league in the world. The Sabres were wire-to-wire the worst team in the league last season, and somehow still looked worse than they actually played thanks to this. That's not even including the widely-loathed, half-assed WWE-style tease/reveal they did. Teams usually do nice photo shoots for new uniforms. Sabres? "Yeah, just throw them on a hanger quick." 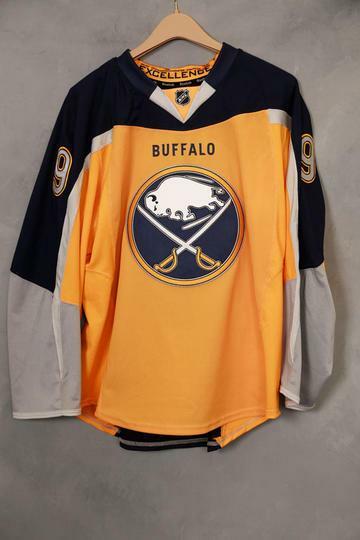 It's not so much disappointing that it's bad (and my word, is it bad), it's disappointing because there's *multiple* people making decisions within the Sabres organization that decided this was a good idea.